David Slaton is an agent with MOSSAD. More specifically, he is a kidon, translated at bayonet or tip of the spear, a highly trained killing machine. Officially these men and women do not exist because the government does not want the hassle of explaining why it needs silent killers eliminating targets inside the country and out, working without judicial mandate sometimes on the opinion of a small group of leaders. Unofficially there are always those people whose continued existence puts a nation at risk and it becomes vital to that country's governors that killing them is the best route. That is when people like Slaton are summoned. Slaton is a native born Israeli, having been born a decade after the country came into being. His father had been a major player in the Haganah, the paramilitary force operating in Palestine to protect the Jews living there. This group fought Arab and British authorities as thousands of European refugees tried to flee to the Holy Land to escape death in Nazi-controlled lands. When independence finally came, the elder Slaton had turned diplomat and become a leader in getting huge donations sent to a needy infant country. Then an Egyptian unhappy with things shot him and his wife dead with a nine-year-old Slaton watching. Adopted by a friend of the family, he moved to a kibbutz but two years later the Yom Kippur War started and the settlement was in the path of Syrian tanks. Seeing his new family killed, a young Slaton reacted by killing several Syrian soldiers, an act he was reluctant to talk about. After the conflict he went back to school and eventually graduated university. Following this was marriage and a child and a good job. Then a terrorist attack occurred and Slaton was informed his wife and child were dead and it was the fault of Arab terrorist. He was offered a chance to strike back. He took it. Things in Slaton will change greatly in the course of this series. He will eventually meet Christine Palmer, an impressive doctor and solo sailor. He will learn that many of the people he once trusted with his life did not deserve such fealty. He will also learn that while he was extremely good at killing, he did not have to do it to be content. Lastly he would find that while he could happily and easily leave his violent nature behind him, when his family is threatened, he knew just where he had put it. Christine Palmer is an American doctor sailing solo across the Atlantic when she discovers David Slaton floating and barely alive in the icy ocean. He is a Kidon, a highly trained assassin and someone wants him dead. For having saved him, Palmer is also now in danger. 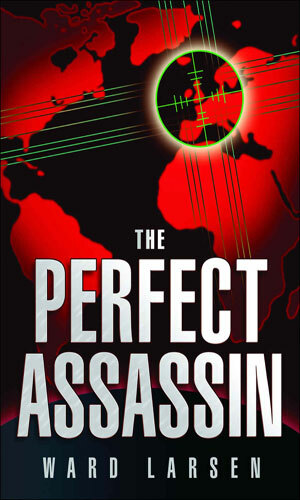 Having quit his old line of work, former Mossad assassin David Slaton has a new and welcome life in Virginia. Then his old bosses come calling with one more mission - assassinate an Irani nuclear scientist. Slaton does not want to but an attack on his wife puts him into action. To protect his family, David Slaton goes into hiding and at that he is one of the best. Still, he is found and attacked. At the same time, a derelict airliner crashes in the ocean. Somehow the two events are connected. The murder of a Russian oligarch off the Isle of Capri has enough pointers to David Slaton as the assassin to make everyone convinced he did it. Since he didn't, Slaton knows it is up to him to prove it by finding who really pulled the trigger. 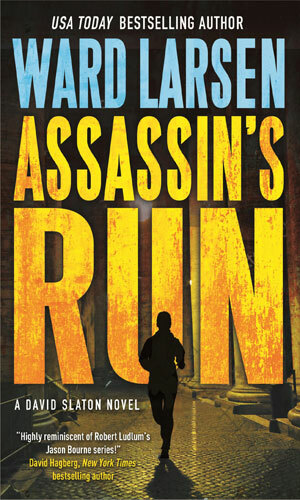 I became a big, big fan of Ward Larsen with his Jammer Davis series and really enjoyed the first book in the now David Slaton series, The Perfect Assassin. Slaton felt like a great character on which to build a series, especially with the independent and resourceful Dr. Palmer as a co-star but no follow-up came and so I moved on. Then a few years later, my wish was answered and another Slaton book was available. And then a third. And I think a fourth is coming. I am a happy man. 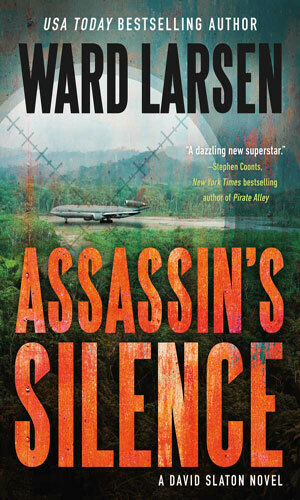 Mr. Larsen can most definitely write and can put in a few twists in the plot to keep you not complacent. One part in particular pleased me because it is a pet-peeve that the author avoided quite nicely. 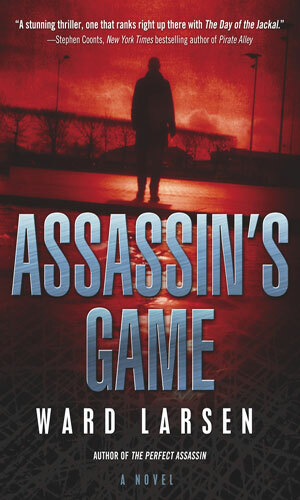 Imagine an assassin, trained to the point that he or she is one of the most dangerous people on the planet. Then take a boss who needs to send that assassin somewhere he does not want to go to do something he does not want to do. And the boss, with incredible ditziness, threatens this extremely deadly killer with dire consequences. "Do this mission or you or your loved one will die!" (more or less). Hello??? Deadly Killer standing next to you! Ticked off deadly killer! Threatened ticked off deadly killer! It NEVER makes sense. When the scenario occurs in one of the books, Mr. Larsen has the decency to have the crazy boss at least acknowledge how bad things good go. He still did it, of course, but at least he knew he was putting his life at risk. Well done, sir!